If you shop farmers markets, you know that the most exciting time of the market-year has arrived. Summer is when farmers markets get into full-swing, flush with beautiful summer produce--greens, zucchini (of all colors), tomatoes, peppers, herbs and much, much more. 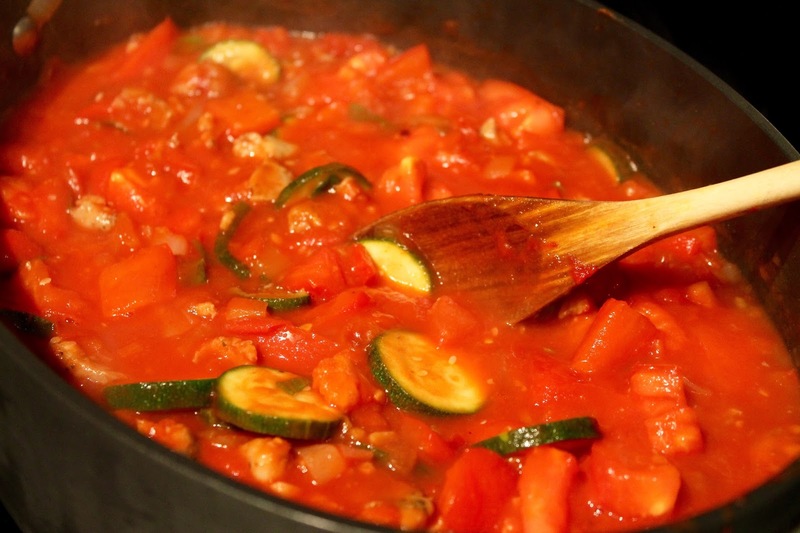 A simple pasta sauce is a wonderful way to savor these summer vegetables. For this dish, I've used tomatoes, zucchini, red bell pepper, onion and fresh oregano and basil, along with chicken sausage, for a satisfying fettuccine dish. It comes together quickly, making a great mid-week meal. 1. Bring a large pot of salted water to boil. Add pasta and cook according to package direction for al dente. Drain pasta and set aside. 2. 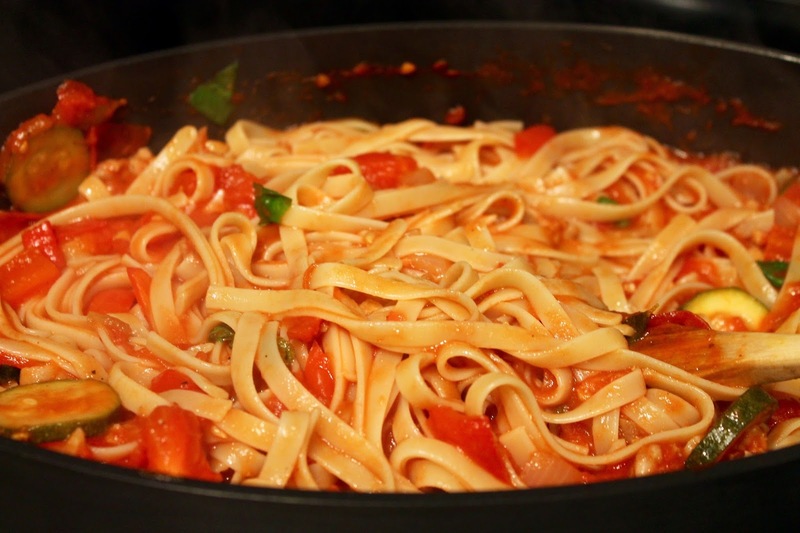 Heat olive oil in a large skillet or Dutch oven over medium heat. Add sausage and cook until browned and cooked through, breaking up with a wooden spoon. When finished, transfer to a cutting board and chop the sausage a bit smaller. Set aside. 3. Add the onion, garlic, zucchini and red pepper to the skillet. Season with seasoned salt and a pinch of red chili pepper flakes. Sauté until softened, about 8-10 minutes. Add the tomatoes, tomato paste, white wine, nutmeg and water, and increase heat to medium-high to bring the mixture to a rigorous bubble. Reduce heat to medium-low and simmer for about 15 minutes. Stir in the fresh oregano and basil and freshly ground black pepper, then add the pasta and toss with the sauce to coat evenly. 4. 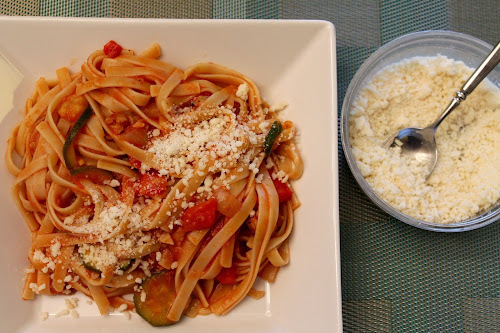 Serve pasta in shallow bowls with grated parmigiano-reggiano cheese at the table.